KZN MEC for Cooperative Governance and Traditional Affairs (Cogta) Nomusa Dube-Ncube today officially opened the R16-million Amahlubi Community Service Centre in the Inkosi Langalibalele local municipality. Today’s opening ceremony is a significant milestone in the lives of the Bhekuzulu residents and the surrounding communities as they now no longer need to travel long distances – as far as Ladysmith and Estcourt – to access government services. Government services are now conveniently close to these residents, including standard services offered by Home Affairs, Post Office, Social Development, ward councillors and the local inkosi. This centre is therefore an important milestone in the government’s efforts to develop rural communities. “We are committed to changing the lives of residents of the uThukela District who reside in rural areas. Youth within the surrounding communities are now attending computer lessons at the digital learning centre, which is housed within the CSC. 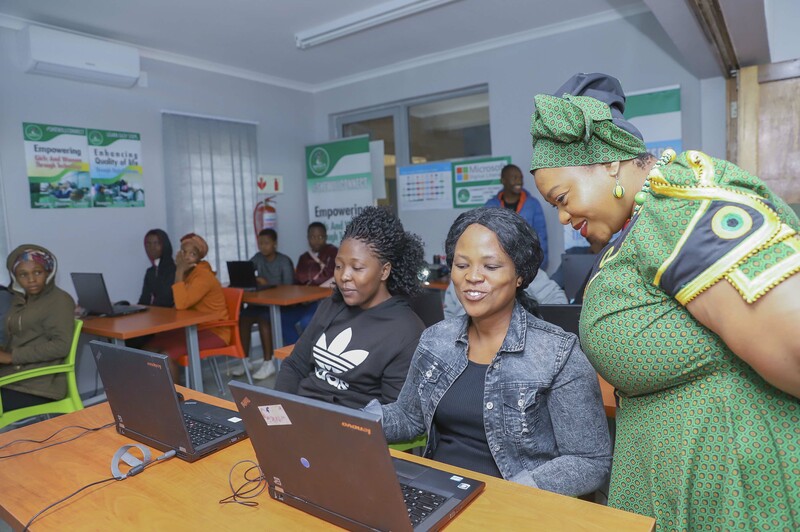 This helps them to take advantage of the opportunities offered by the fourth industrial revolution,” said Dube-Ncube. Sabelo Buthelezi, 26, who is one of the residents of the Bhekuzulu communities, says that the opening of the centre is a breakthrough for him as a young person as he is now able to do a course in programming at the centre. In his address during today’s opening ceremony, Inkosi MJ Radebe thanked the MEC for the level of commitment her government has shown in bringing tangible service delivery to his people. KZN Cogta has in the past five years built three community service centres in the uThukela District Municipality, namely Okhalamba Bergville, eKuvukeni and the Amahlubi CSCs. This is part of the massive rollout by government of world class infrastructure to benefit rural communities and to empower the youth to better utilise opportunities presented by the digital age.